A Russian website is claiming that Sony has announced the release date for LittleBigPlanet on the PlayStation Vita. The game, developed by Tarsier Studios, will be on sale from September 28th 2012, though we cannot find any official reference of this date in our research. For now, we’ve filed this under ‘Rumors’, but hopefully we get confirmation soon. 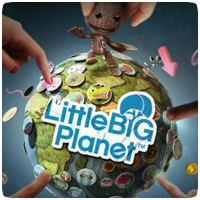 Just like ModNation Racers, an entirely new version of LittleBigPlanet will be heading to the PlayStation Vita. Once again, the Vita’s hardware will be used to make creating levels and playing the different levels much easier. The level toolbox has been updated and optimized for touch controls, so players can create levels with the use of their fingers. Sackboy invades the PSP in North America when the game is released on November 17th 2009. The official release date was announced by MediaMolecule, however, no date for Europe was announced. Europeans can expect the game some time this year but it may be weeks after the North American release. LittleBigPlanet for the PSP features a bigger single-player component, though it lacks multiplayer gameplay. 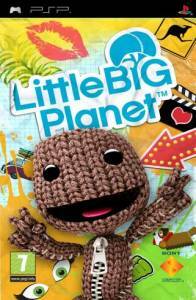 LittleBigPlanet for the PSP is almost here, though it depends on which retailer you trust. Play.com has noted the release date as November 20th 2009 but Amazon has it down for October 30th 2009. The game will retail for £24.99 (approx €30, $42). Plus, check out the cover art on the right (click to enlarge).